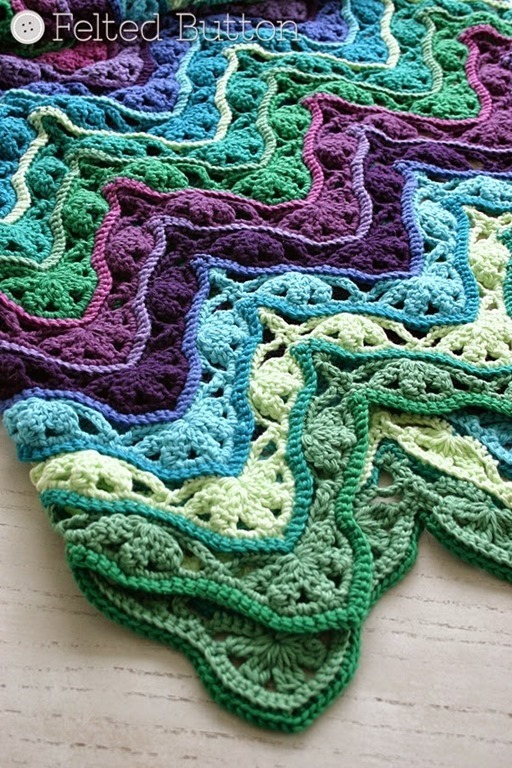 Oh, this is an awesome crochet blanket! 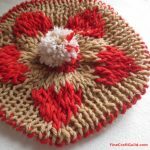 It has a back that’s even prettier than the front: Look at this lacy ripple blanket crochet pattern. Uhhh….. Crochet Beginners better just look for inspiration and make something simpler like any of these crochet blankets. 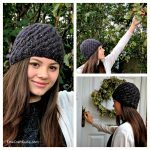 But intermediate beginners and advanced crocheters, head over to the maker, Susan Carlson, who created a very comprehensive FREE 16 page .pdf pattern, which includes about 50 photos with descriptions to help you through the process of making this. Wow. It’s a tested pattern and beyond all these photos, there’s a simple printable pattern section for you to print to have near you as you are working through this project day by day. 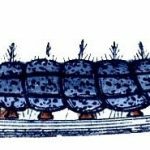 complete materials list including yarn brand/quantities/colors. I think it is a great resource to have. I have just downloaded it and Susan sure makes it doable. 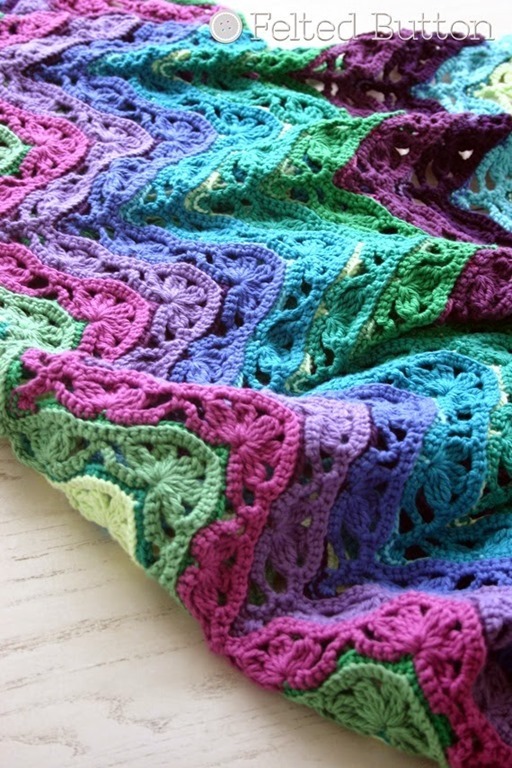 Get your free crochet pattern for this beautiful blanket here at Susan’s Craftsy shop. It’s called the Brighton Blanket.